Brendon McCullum, former New Zealand captain, on Monday announced retirement from Australia's domestic cricket league Big Bash League (BBL). 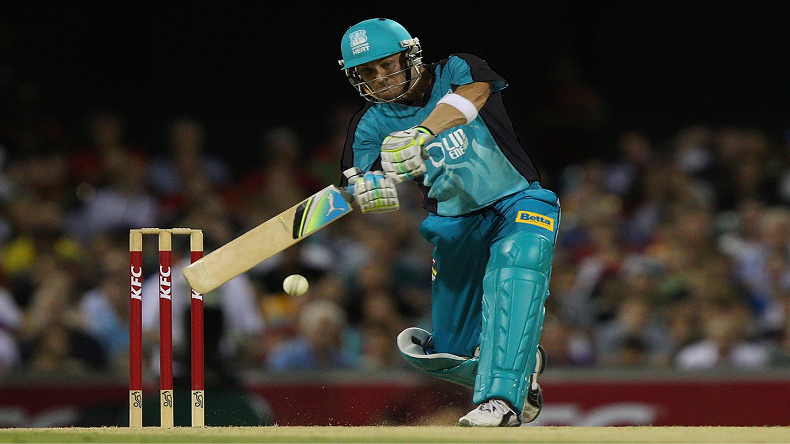 Brandan McCullum will play his last match on Friday, February 8, against Melbourne Stars at the Gabba. MC Cullum said he will continue to play other leagues around the world and soon switch a as a coach. Former New Zealand captain Brendon McCullum on Monday announced his retirement from Australia’s domestic cricket league Big Bash League (BBL). The cricketer has said the ongoing Big Bash League will be the last tournament of his domestic career and now he will be serving the world of cricket as a coach. Brendon McCullum will play his last match on Friday, February 8, against Melbourne Stars at the Gabba. The explosive batsman is a part of the Brisbane Heat and informed his mates about the retirement on Sunday night after team’s 6-wicket win against Adelaide Strikers. McCullum scored a blitzkrieg half-century off 39 balls and scripted the win for his side. McCullum in a statement said that he will continue to play T20 cricket in 2019 in various competitions around the world and will then look to transition into a coaching career. “The prospect of being able to transfer the skills, experience and leadership I have been lucky enough to bank over my long T20 and also international career into coaching is very exciting,” said McCullum.